I've been paying more attention to my brows lately. It's amazing how a good brow can really frame your face! It's possible to have natural looking brows that still make a statement--that's where brow powder and a good brush come in. 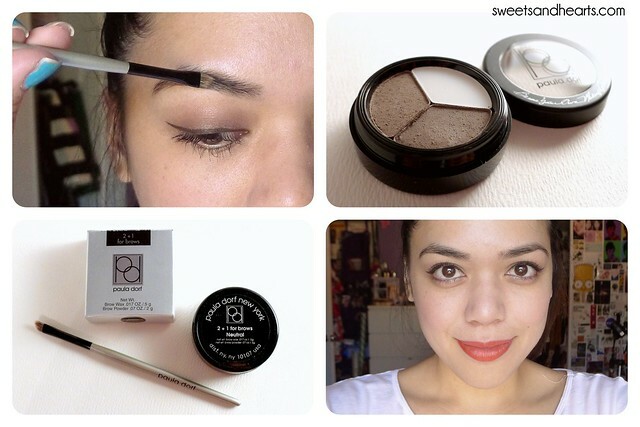 I was given the opportunity to try out Paula Dorf's 2+1 for Brows and Perfect Brow Brush. I tried it in "neutral", which consisted of medium brown and ashy brown shades, and a little bit of wax for finishing. Tips: To use, I recommend applying the powder a little at a time, paying attention to sparse areas and blending carefully with the rest of your eyebrows. For added definition (this is where the brush really shines! ), carefully (and lightly) trace your natural brow shape and keep the angles straight and sharp, then use the brush to blend and soften. Use the brush to smooth a little bit of the wax over your brows and you're all set! Mine lasted all day and I didn't need any touch ups. 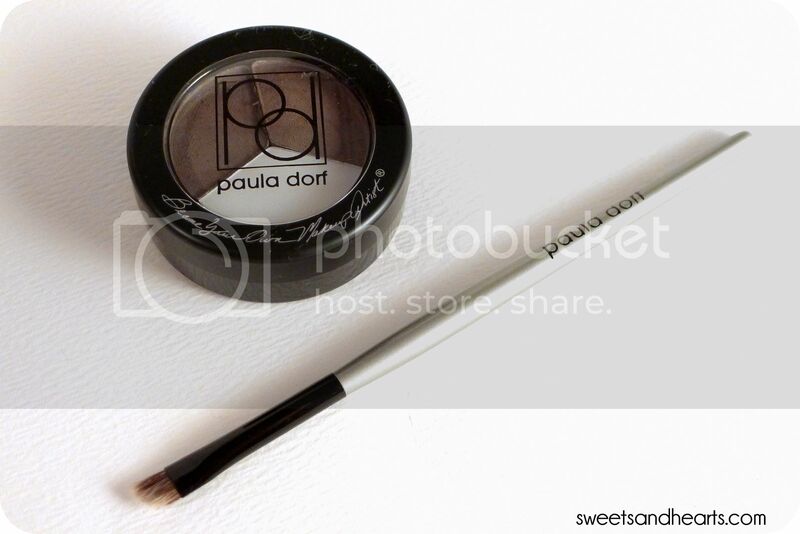 You can get a brush too if you use the code BROWBRUSH -- free with purchase at Paula Dorf!